Watch An Eye Opener Video that Proved Men Suffered the Most of Domestic Voilence. We have our own view on violence around the world. The common idea is whoever is stronger has the capacity to do violence with the weaker. And this video uploaded in Youtube by a certain user named ManKindInitiative opened my mind on what violence looks like nowadays. The start of the video is very common to all. The woman was abused by a man either verbally and physically and pushed her. The people around them are just looking at them quarreling. In the end, it was the man who overcame the girl. The twist of the video came when it was slowed down for a rewind. The scenario became different when the woman who was supposed to be abused became the abuser. The man was finally the one who was abused and was pushed. The people around them were laughing on a peculiar thing that they were seeing. What seemed to be a kind of abuse that will be given to a woman was given to a man. And it was bizarre. The hashtag of the video was #violenceisviolence. We all want to stop violence around the world. We all want a place to live when there is no one experiencing violence. 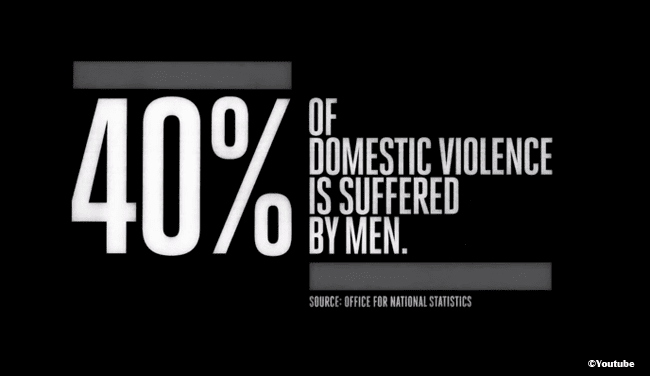 In the UK, according to the video, 40% of violence is experienced by men. This breaks our understanding and belief that women are abused and men are not. This video is something to watch that gives a new perspective and insight on what is happening around us. This may be in UK but this is also may applicable to all countries. Let us look at our community and be aware of what is happening. Sometimes men tend to be silent on abuse because sometimes they are denied of the rights to be abused.